Classic Custom Builders and its sister company, Spencer Masterpiece Homes, have been recognized as home building leaders. Fine workmanship and innovative designs have garnered the company widespread recognition and a host of awards. Classic Custom Builders won the prestigious Pacesetter Award in Customer Service from National Custom Home Magazine. They have earned 27 “Best of” awards from Northern Colorado Region Parade of Homes and Most Efficient Home of the New Millennium from E-star of Colorado. 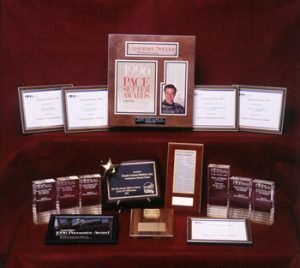 In 2001, Spencer Masterpiece Homes swept the Parade of Homes “Best of” awards in the over $500,000 category. Recognized leaders in design, energy conservation, and customer service, Classic Custom Builders number among the most original homebuilding companies in Northern Colorado. Spencer Masterpiece Homes swept all of the “Best of…” awards in the 2001 Northern Colorado Parade of Homes category for homes priced over $500,000.